He was handcuffed in the front of his body and before the U.S. Marshals took him out of the courtroom he was able to put his hands on my shoulder and say, “It’s ok.” All I could do was look at him and nod. I don’t know what my face looked like, but it must have clearly reflected what I felt inside. It was a rare scene. You don’t often see a client heading off to serve a ten-year federal sentence comforting his lawyer. As soon as Robert (his name has been changed for confidentiality) disappeared behind the lock-up door at the side of the courtroom, I walked out the front door, free and back to my life. Why was I upset? After all, Robert admitted to transporting a pretty hefty amount of drugs. I utilized every legal maneuver available, but there was no getting around the fact that Robert was guilty. He humbly accepted his fate, sincerely apologized to the judge, and was ushered off to prison – again. The last thing Robert said to me as he was escorted away was, “It’s cool . . . at least I can cut hair inside.” What? Then he was gone. Robert grew up in Maryland. From his 6th birthday on, he was essentially raised by gang members. He was the epitome of a kid that never had a chance. Growing up committing crimes, the inevitable took place. Robert ended up in prison as a young adult. However, Robert took advantage of his time and learned a trade. He took classes and learned how to cut hair. He was so good in fact that inmates would line up to have him cut their hair. Eventually, he managed the prison barbershop, independently operating a small business within the walls of a penitentiary. Like most inmates, Robert was eventually released from prison, but unlike many, he was determined to make it. He got married, moved to Arizona, and planned to open his own barbershop. But he needed a license to do it. For two years he worked odd labor jobs to save the money he needed. Once he had the money, he completed the licensing requirements and application process – only to be denied by the State of Arizona. Now, with a wife and child, Robert was faced with an impossible situation. He met the entirety of the cosmetology licensing requirements and was fully qualified . . . but he was a felon . . . DENIED. Unable to use the skill he had, frustrated, scared, and determined to take care of his family, Robert turned to the only other trade he knew well—the drug trade. That’s how I met Robert in federal lock up – the “inevitable” had happened again. Robert’s story isn’t unique. It’s shared by many formerly incarcerated individuals throughout our nation. This year, the Arizona legislature decided it was time to give other “Roberts” better chances to live a productive life without crime: the legislature passed, and the Governor signed, HB2290. HB2290 is a ‘provisional licensing’ bill aimed at reducing recidivism rates. The bill encourages agencies to grant provisional occupational licenses to released inmates that fall within certain categories who, but for their felony conviction, are otherwise qualified for licensure. The new law in no way restricts the authority of the regulatory agency to police occupations. Instead it prevents hard working individuals from being denied a license – strictly based on a prior felony conviction. 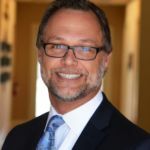 KURT ALTMAN became a signatory for Right on Crime in early 2016 and recently more fully joined the reform movement, promoting Right on Crime’s policies in the State Houses of Arizona and New Mexico. He has nearly 24 years of criminal law and Constitutional litigation experience. As a former Deputy Maricopa County Attorney and Assistant United States Attorney, Kurt has conducted literally hundreds of felony jury trials and lead investigations of criminal conduct ranging from homicide and capital cases to complex white collar matters. Formerly, as a member of the Department of Justice, Kurt earned the Director’s Award, the highest honor bestowed upon Department of Justice lawyers, and has twice received the Federal Bureau of Investigation Director’s Award for his tireless efforts on behalf of FBI-conducted investigations. Since 2008 he has operated his own practice defending the accused in criminal matters of all varieties also ranging from homicide to white collar.